It’s not often I don’t like the look of a car before I’ve seen the one I’m going to spend a week with, the Fluence is one of those cars. I’d seen a few around the roads before I get a chance to drive one myself. 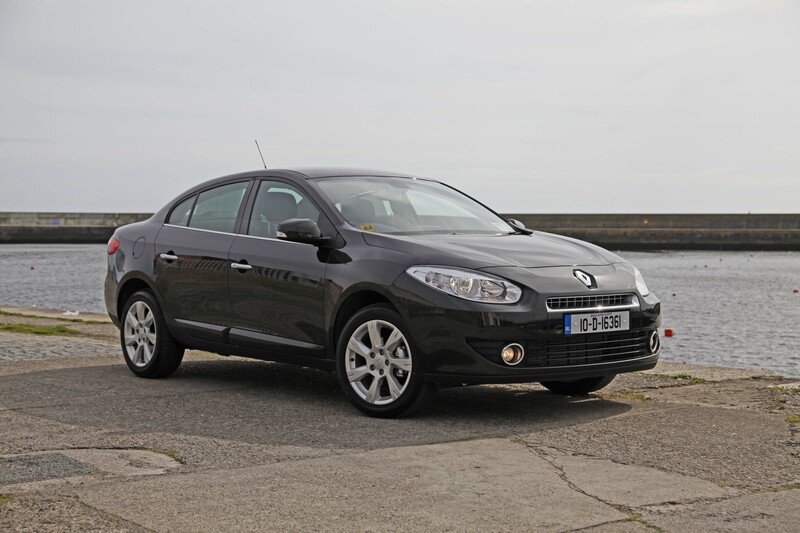 The first drive I had of the Fluence was a couple of months back at the Renault ZE road show, I got to take one of the million Euro prototypes out on the roads around Carton house. I was greatly impressed with the electric version, but I wasn’t too happy with the look of the outside. It looks too high off the road, but this car was originally designed to be an electric car, so aerodynamics are playing a heavy roll in the look of the car. The model I had for testing is the Tom Tom edition, that’s about as high a spec as you can get. There’s built in Sat-Nav, keyless entry/exit and start, dual zone climate control to name but a few, there is also the most comfortable seats I’ve ever had the great pleasure to sit in, you would have to go a few classes above to beat the comfort in the Fluence. The boot has a great shape, it’s wide at the opening and gets a little narrower, it’s 530ltr can cope with just about any shape, and can happily take two prams and all the stuff that kids need. There’s also two shopping bag hooks that can keep your shopping where it should be; in the bags. The back seat can cope with 3 adults, or as in my case, one adult and two child seats. 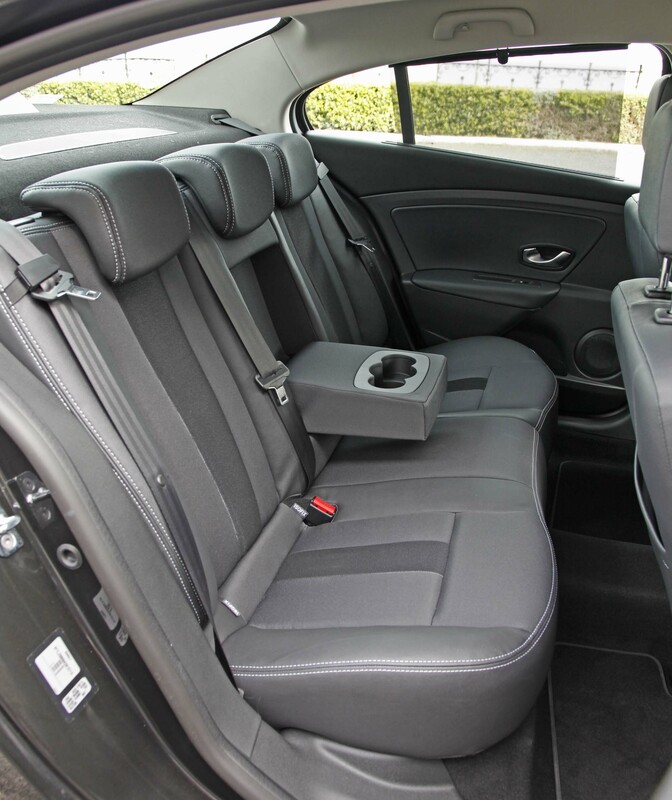 Most important is the comfort in the back, there’s loads of leg and headroom, there’s also a pull down armrest in the middle that has cup holders built in. Up front the dash is made out of fantastic materials, in fact the materials look like they are out of a car well above the Fluence class. 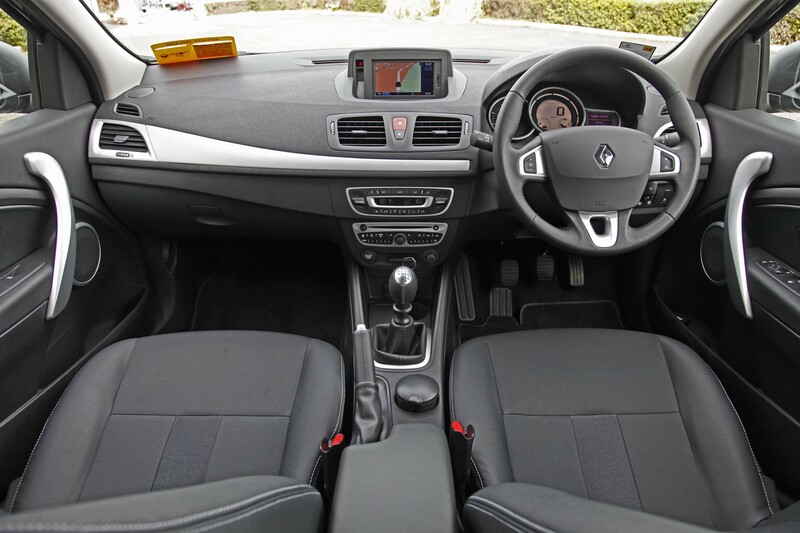 Everything is where it should be in a Renault, I still think the radio has too many buttons and the steering wheel stalk is over complicated, but you soon get used to finding the buttons you need most. My first drive took me on the motorway, the 1.5 diesel unit puts out 106bhp and I find it a little noisy during acceleration but that’s the nature of diesel engines. 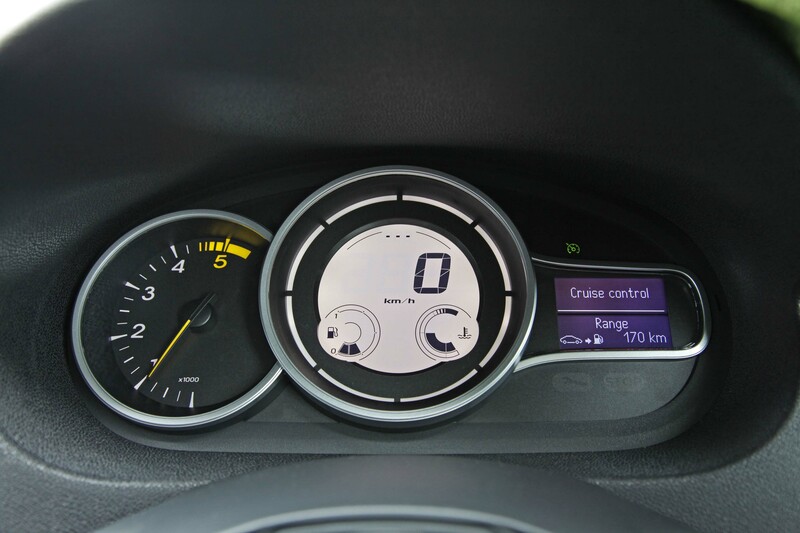 In the Fluence once you get up to speed you can’t hear the engine anymore, there’s no sound at 100kph and very little at 120kph. Testament to its aerodynamic background, there’s very little wind noise either. 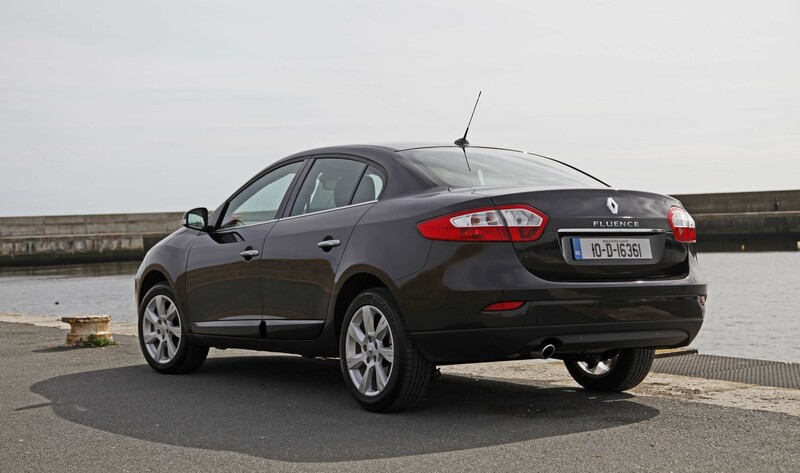 On the Motorway the Fluence is sublime, that huge comfy seat, firm suspension and a tonne of elbow room means that this is simply the best long distance cruiser. It’s no slouch in the corners either, for a big saloon it handles really well; you would really want to throw it into a corner before it looses any grip. Even at low speeds there’s nothing wrong in the Fluence, there’s no wobble over flat top speed bumps and it’s easy to park thanks to the good visibility and parking sensors on the rear. 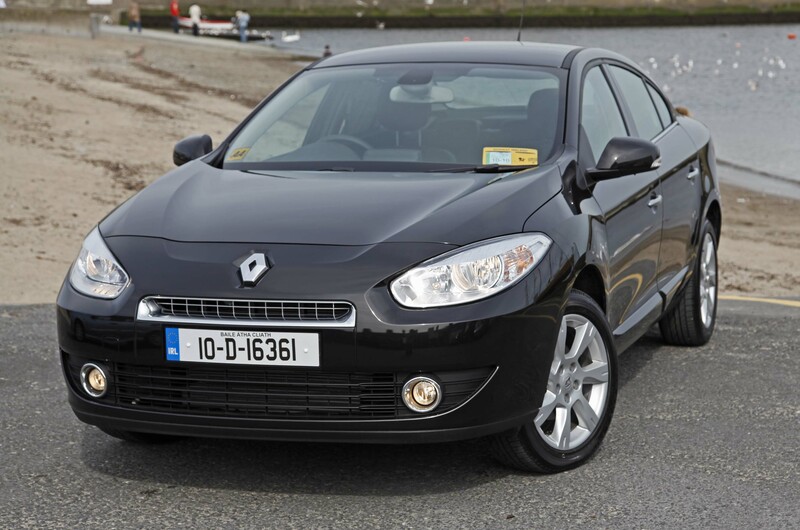 I said in the video that the Fluence was the best car I’d driven all year; I meant it. There’s nothing in its price range with the same room and spec that you can get for the price of €23,500 before any discounts or a trade in. Yes it looks a little odd at first but if you see it in the right colour (black or White) it’s a handsome car. Renault didn’t go about trying to re-invent the saloon market, what they did was take all the good bits from saloons and tweak them, making every thing a little better. For me crucially, it’s original and that makes a huge difference because I don’t like driving around in one of the other Euro-boxes that inhabit Irish roads currently. 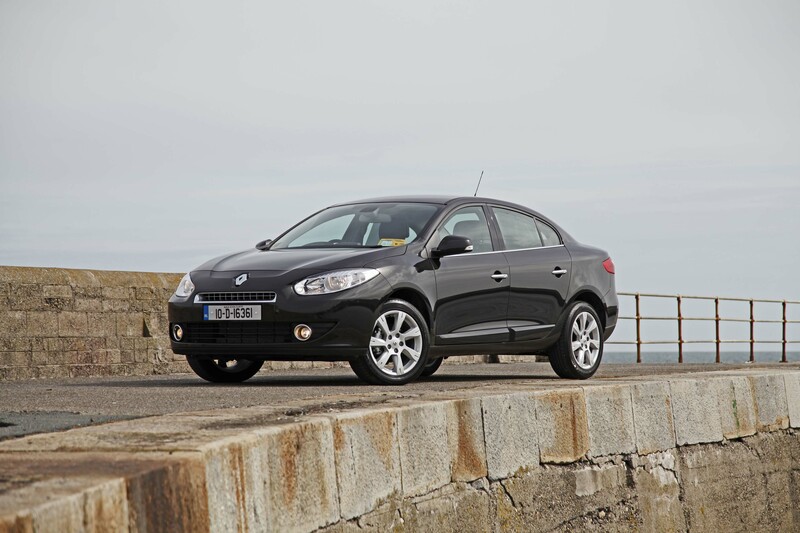 Here’s the best endorsement I can give the Fluence, I want to order one for next January. Sorry this video is up a little late today, I couldn’t get out of some meetings. Text review tomorrow, I promise. It’s a great car too, watch the video you’ll see why.